This week I spoke with a true genius of stand up comedy. 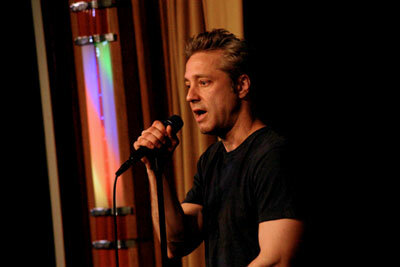 Nick Griffin has appeared on David Letterman 6 times, and as recently as May 7th 2010. In this interview we discussed New York City, what he learned from watching George Carlin backstage, and his comments on Brad Pitt's Lottery of a life. Andrew: I follow nickgriffin.net where you put up a lot of funny videos and observations. Can you tell me how life on the road has been treating you? Nick: It's kind of spare. Sometimes they put you in a hotel and sometimes they just put you in a room that they rent and these are the kind of places that comics have been sleeping in for 20 years and they are kind of beat up. They key is that you have to keep a schedule. I get up and work out, write everyday and try get something accomplished. Then you just wait to get on stage and you hope it goes well because if it doesn't you carry it around with you until the next time you on stage. I have been doing it for 23 years, so I am to the point now where I actually jones for it if I have some weeks off. Andrew: You were in LA for a while and now you are New York City. Which do you prefer and why? Nick: I really loved LA. I had a lot friends there, my younger brother lives in LA and my social life was a lot better. I came to NYC because I hit 40 and I thought that I had one more push in me to really just dedicate myself to the craft. A couple weeks ago I did 15 sets in a week and usually do close to 10. It's different here because you are doing 10 to 15 minutes on stage almost every night and then you run to another club and do another set. There is a great collection of comics out here and they are really working hard, same as LA, but more intense because the stage time comes at a premium. I like it here because there is not a week that goes by that you don't run by a Chris Rock, Dave Attell, Louie CK, Dave Chappelle, Robin Williams, and Jerry Seinfeld. I have bumped into Seinfeld a bunch of times out here. It's a lot like going to the The Comedy & Magic Club, it's got such a good reputation. 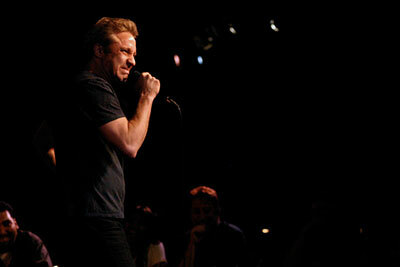 I work at The Comedy Cellar and a bunch of big names love to come down and work out there new stuff. Andrew: A lot of comics describe you as a "Comic's comic." How are you able to pull that off? Nick: I think that just means that you are probably funny, but you are not terribly successful [laughs]. I appreciate whatever positive things people say about me. I hate to say it, but I think it might be for guys that haven't made the jump to a bigger audience, for the guys that keep doing it I guess. It is so hard to get a crowd. In the first 10 years you just focus on getting good and in the next 10 you start to think about the business and how do I get anywhere. [sigh] Now, I am 23 years in and I am still trying to figure it out and get an audience. What am I not doing? What can I do better? And to be honest with you, I haven't figured it out. I probably should sit down with Daniel Tosh. Andrew: What have you learned this year? Nick: The same thing I learn every year; I am not good at relationships and I still love doing stand up. I still get a kick out of it and after a good set it still makes my night. I get this renewed vigor about the business. To be great at stand up is just so difficult. I am still incredibly excited about it. It seems like something you can never master. Mike Lacey, was nice enough once to let me open for George Carlin and I remember that he was in the Green Room going over his lines and getting ready for the set that night. I was just so inspired, by this guy that was in his 70's at the time, and still working hard at it. It's like a girl that you just can't give up. It's really challenging. Andrew: Why do you think you are bad at relationships? Nick: [laughs] You could spend days trying to figure that out. I don't know, I think it's because I like stand up so much. It takes so much focus to do this job and I have a lot of confidence that if I do focus I'll get better. I don't have any confidence that if I focus on relationships it will work out in the end. So I choose to put more of my energy in stand up. I think the payoff is better. Andrew: You have done The Late Show with David Letterman 6 times. What happens as you get more experience with that show? Nick: You get a tiny bit more comfortable each time. The first time I don't even remember doing it. I remember walking out, bright lights, and him shaking my hand. It's like after each set I have become a little more comfortable, I have slowed down, it feels a little less intimidating. It's still a thrill though and it's usually the most fun I have all year. The business perks up a little bit as well. I get a view more meetings with television people. Also, in New York you get nice comments from other comics you respect and what not. So that's always a kick. Andrew: In your last Letterman appearance you were speaking about Celebrities and you said "Think about Brad Pitt, good looking, rich, famous, Oscar nominated and sleeping with Angelina Jolie. Wow! What did this guy do? Take a thorn out of God's paw?" Can you talk to me about language and how you structure your material? Nick: I have always been a big reader and always been a fan of language. I grew up watching comics on Letterman and The Tonight Show, so I think my mind really works toward the short, concise jokes, but most of the time I think the really great jokes just kinda come to you. I mean, I do sit down and just try to hammer stuff out, but for example that line came to me when I was just walking through New York City. I was just thinking what an incredible lottery of a life that Brad Pitt has and that seems like the appropriate wording to capture that. Andrew: Your twitter account says you are reading "The Passage" by Justin Cronin, anything to note in that novel? Nick: I grew up with an older brother that made me watch horror movies my whole life, and it's a book about vampires taking over the earth. I guess I am still really into the monster thing, which I am sure your female readers will be happy to hear that I am so incredibly mature that I'm a vampire fan. It's a really well written book about monsters. Andrew: Where will you be in 5 years? Nick: Hopefully, working on a sitcom about me. I think that's the goal for most comics, and of course, still working on stand up. Andrew: Can you give me your thoughts on The Comedy & Magic Club? Nick: I haven't played every club in the country, but I have played in almost all 50 states, and there are two clubs that come to mind that are premium places to see stand up. Where not only are the comics excited to perform there, but the entire staff is excited about their work and the whole focus of the club is to see comedy in its best light. It is a privilege to play there. I am around comics all the time and everybody when they talk about LA, they all want to play The Comedy & Magic Club. All the big names are there and everyone knows that's the club to be at. 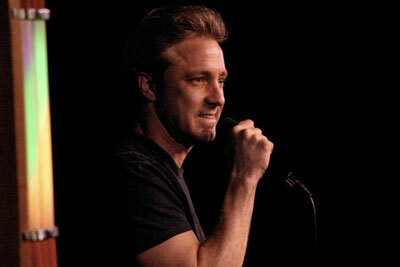 Nick Griffin will be performing on Tuesday, August 10th and Wednesday August 11th. He will be headlining on Thursday, August 12th. Reservations required. (310) 372-1193 or comedyandmagicclub.com. ER.